The Age of Resistance is about to begin. 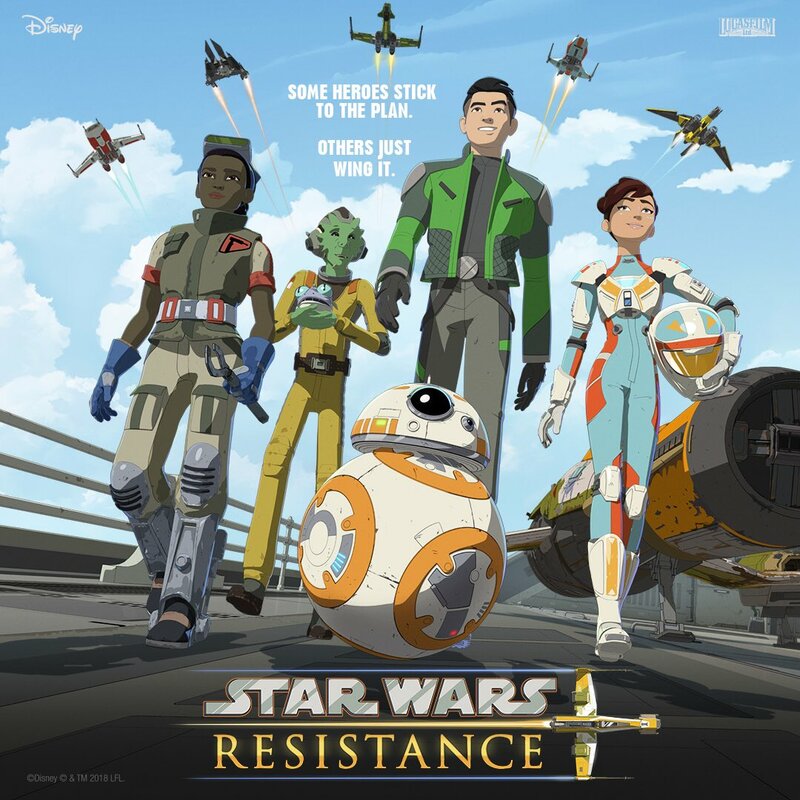 Next month, Disney Channel will premiere the first episode of Star Wars Resistance, the first animated series to take place during the sequel trilogy. Oscar Isaac and Gwendoline Christie will reprise their respective roles as.Poe Dameron and Captain Phasma. But they won’t be the only guest actors lending their voices to the series. 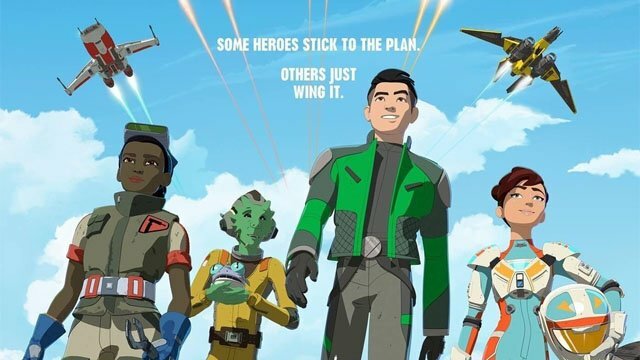 The newly released Star Wars Resistance synopses have revealed a few additional guest stars. Via ComicBook.com, Elijah Wood, Donald Faison, Jim Rash, and Bobby Moynihan will be among the featured guest stars of Star Wars Resistance. The series will take place before the events of Star Wars: The Force Awakens, as the galaxy lurches towards war. A new team of Resistance fighters will be tasked with stopping the First Order’s agenda, and saving the universe for a new generation. You can read the synopses below. *Guest starring is Oscar Isaac (Star Wars: The Last Jedi) as Poe Dameron, Jim Rash (Community), and Bobby Moynihan (DuckTales) as Flix and Orka, respectively. *Gwendoline Christie (Star Wars: The Last Jedi) guest stars as Captain Phasma. RELATED: Star Wars Resistance Trailer Released! *Elijah Wood (The Lord of the Rings trilogy) guest stars as Jace Rucklin. *Donald Faison (Scrubs) guest stars as Hype Fazon. Star Wars Resistance will premiere on Sunday, October 7 on Disney Channel. Are you excited about the first batch of guest stars for Star Wars Resistance? Let us know in the comment section below!